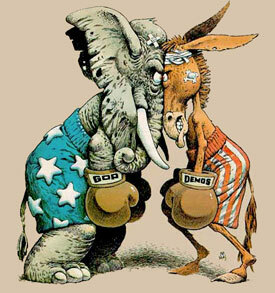 As the presidential election heats up, everyone seems to be discussing hot topics framing our political discourse. Unless you’re working in a political industry where people are used to this sort of talk though, it can be difficult to gauge how to keep these discussions civil to maintain a professional company culture. There’s no doubt that talking about these issues is important for democracy overall, but it’s useless if we can’t do it in a calm and levelheaded manner—particularly while in the office. Political discussions can often be very damaging to company culture if they get out of hand. It’s important for employers to carefully monitor these discussions when they’re happening among employees, and to ensure they’re keeping discourse to a polite minimum. Most offices include workers with a smattering of different backgrounds and political opinions. A key component of company culture is ensuring everyone feels comfortable and welcome, and political talk can often be detrimental to these efforts. Remind employees of the impact of their discussions. People who are politically passionate need to know that expressing this can lead to rifts with other employees. Political talk is often a slippery slope to heated emotions and arguments that often become very personal. Remind employees that work is a place where they should be focused on their tasks, not focused on trying to convert someone away from their political party. Let employees know hateful speech will not be tolerated. No matter what the issue at hand, employees need to understand the impact of their rhetoric, and realize they’re surrounded by colleagues who may have very different backgrounds and opinions. Teach employees to always be respectful and avoid heated rhetoric no matter what the topic at hand—no insults or cruel words allowed. And make certain employees truly understand the policy will be enforced and are aware of the repercussions should they neglect to follow the rules. Teach employees how to remove themselves from these conversations. As a boss, you can’t be everywhere at once, so political talk will often take place when you’re not around. Teach employees how to walk away from a conversation that’s making them uncomfortable. Encourage them to change the subject back to work or other current events, or to walk away by politely letting their colleagues know they need to be getting back to their tasks. Employees can avoid direct questions—such as, “What do you think of Paul Ryan?”—by letting others know they like to keep their political opinions to themselves. Often, political talk becomes heated when people are unsure of how to step away from the situation, so arm your employees with these tactics from the beginning. In an election season, it can be difficult to quell political discussions at work and maintain a favorable company culture. By carefully monitoring your work environment and ensuring each employee knows the ground rules for keeping things civil, your office should be able to get through election 2012 without any damaged relationships—or a headache. Have you ever had to quell political discussions at work? How did you go about keeping things civil? Let us know in the comments section below.